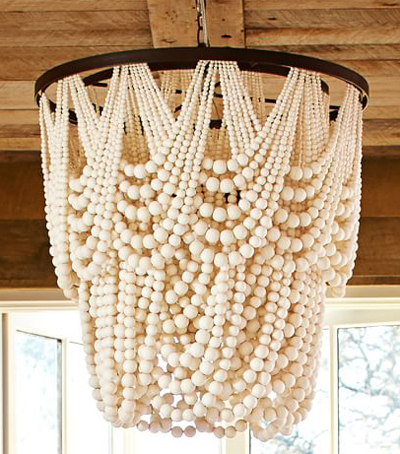 The elegant, teardrop silhouette and fluid lines of the Amelia Indoor/Outdoor Wood Bead Chandelier is achieved by artisan hand detailing. Its subtle luster comes from the hand-applied glaze. $699. Free shipping. Buy here.